We are faced with an institution that does not generate any kind of trust within the citizenship and that has carried out an electoral process so transparent that the voters did not see themselves in the voting centers. 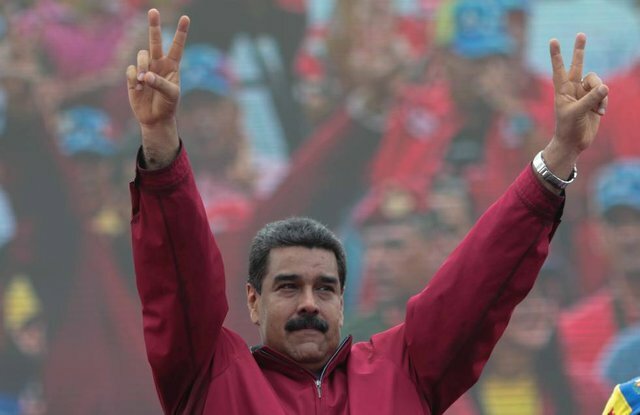 Who usurps the Miraflores Palace chair celebrates what he calls his victory number 22 thanking the National Armed Forces, without a doubt, this has been the most truthful and redeemable of his speech, without them and their abuses, the victory would not have been possible . The honeys of victory, which seem to have been imported by Diego Armando Maradona, lead him to show off his accustomed triumphalist, coarse and arrogant attitude by disqualifying and mocking those who opposed him. The person in charge of presidential oratory decided to use the strategy of numerical manipulation in an intelligent way, clearly, it is more attractive to hold 68% of the total vote, before paying attention to 54% of the electoral absenteeism declared by the CNE. It is not time to look for guilty, or to declare ourselves winners or losers. The opposition sector that at this moment is considered the winner due to the magnitude of the abstention, is making a big mistake. Assuming that the actual abstention had been 75%, we must remember that within this group of people are abstentionists by profession (who have done so much damage to us over these 20 years), the repentant reds, the protagonists of the diaspora and yes, of course, a good number of Venezuelans who find themselves without direction, coordination or direction. Henri Falcón and Javier Bertucci had to wait for the official pronouncement of the thugs of the National Electoral Council before declaring themselves losers; firstly, as a sign of respect for the electoral regulations and also to add to his speech the denunciations that would surely derive from the aforementioned pronouncement. It has arrived on Monday and with it a large list of questions, the most common of them among most Venezuelans is, what now? Possibly Falcon and Bertucci return to their comfort zones, Nicolas continue with his agenda of destruction of the country, and those who participated and foolishly sold the country for a meager economic reward, enjoy a few minutes or perhaps a couple of hours of what they can acquire with the thirty silver coins with which they have delivered to the country. What will be the position of the broad front? Will its amplitude be effective enough to join efforts with the opponents of this government that were measured today and together to carry out forceful actions or will they continue hoping that one day the international community will finish shaking our misfortune? If a lesson we should have learned during all this time, is that we are all necessary and no effort is left over when fighting to recover the freedom and democracy that we all long for.